Sometimes I think the so-called “smart” fans forget what real heat is. Wrestling is designed to make us angry, and play on some of our most basic human instincts. 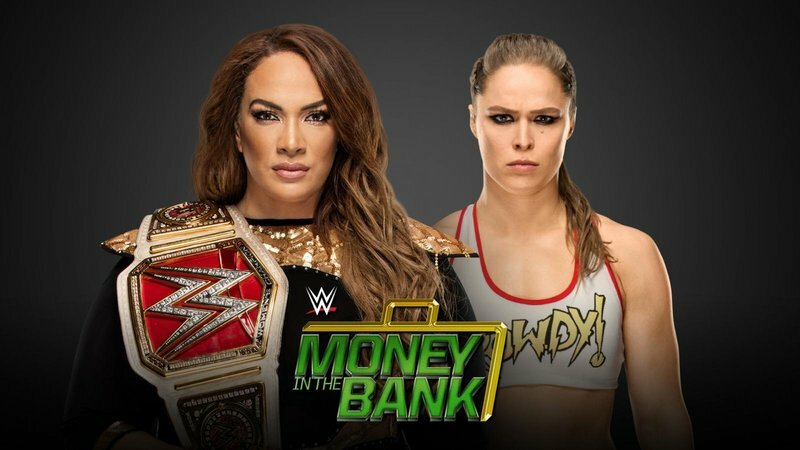 WWE did that with the finish to the first ever Women’s Money in the Bank Ladder Match on Sunday, and people were mad. The problem is they were mad for the wrong reason. The finish of the match came when James Ellsworth climbed up the ladder, grabbed the briefcase, and dropped it down to Carmella. 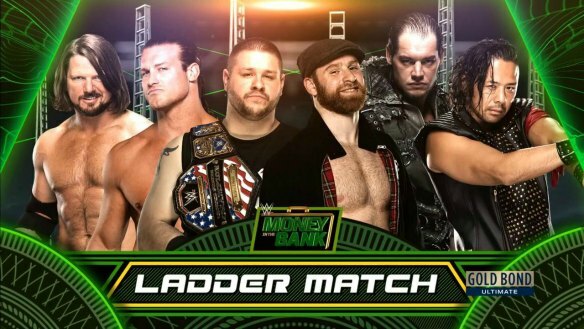 So the inaugural Women’s Money in the Bank Ladder Match was essentially won by a man. I got a little miffed about this initially. I even retweeted a comment or two from fans that were upset. But the more I think about this finish, the more I absolutely love it. I’m about a pretty progressive guy. I understand what’s gets people upset about a woman needing a man’s help to do something. But let’s lighten up and realize what this is. It’s a story that’s designed to get under people’s skin, and make them want to see Carmella and Ellsworth get their comeuppance. It did what pro wrestling is supposed to do. Hey, I’m a smart fan too. But let’s not outsmart ourselves by analyzing this stuff to the point that we can’t enjoy it anymore. Carmella and James Ellsworth discuss the controversial ending to the Women’s Money in the Bank Ladder Match. Carmella sounded pretty scripted here. But that’s not exactly uncommon on WWE TV these days. And she had some nice fire. So I was good with this. I’d also forgotten she was picked last in the draft last year. That was a nice touch. Big E. def. Jimmy Usos. Nice win. Nobody ever talks about Big E. being a former Intercontinental Champion. Probably because it didn’t end up being that memorable. But it merits mentioning when he’s spotlighted by himself like this. 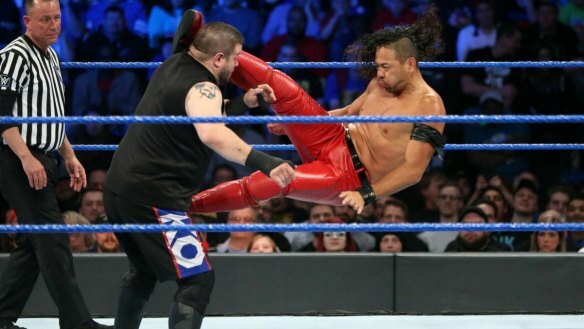 Shinsuke Nakamura def. Dolph Ziggler. This was fun. A little slow at first, but one of those matches where you find yourself watching for the little details. Nakamura doesn’t necessarily look like somebody who can work the mat, but he and Dolph looked good jockeying for position out there. They gave these guys a lot of time too, which a match like this deserves. Kevin Owens def. Chad Gable in a US Open Challenge Match. Both Chad Gable and Jason Jordan have been ghosts these last several weeks. So to see Gable get a singles spotlight like this was really cool. Absolutely gorgeous moonsault, and the crowd was into that roll-through German Suplex. I’ve talked before about how Gable could conceivably do well as a cruiserweight on Raw. But I’m scared of what would happen to him, given how stale 205 Live has become. Daniel Bryan takes the Money in the Bank briefcase from Carmella, announces a rematch for next week. Ahhhhh, so that’s what it was. Do a contested finish, then direct people to a big episode of Smackdown. It’s a smart move. Not just because ratings are down, but because it’s never been done on WWE TV before. I’m hoping Carmella wins again. Put even more heat on her. 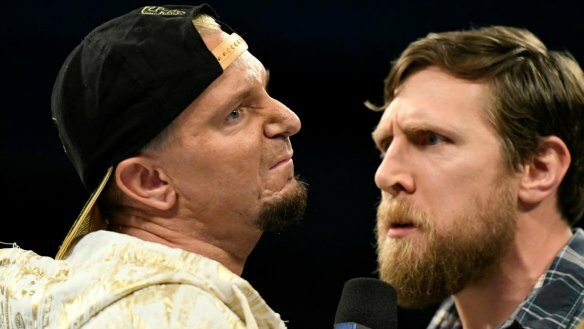 On Talking Smack we found out Ellsworth is banned from ringside. But she can still find a way to win. Why not? I haven’t heard anything about injuries sustained in the Ladder Match, other than Bryan having a throwaway line about Charlotte’s neck. That’s a hell of a bruise Tamina has on her arm. I did, however, notice Tamina’s got a hell of a bruise on her arm. I imagine that was pretty painful. Though not quite as painful as her attempt to diss Charlotte here. So we’ve got all these women competing in yet another Ladder Match for an on-demand shot at the Women’s Title. Meanwhile, Naomi grants Lana yet another title match for doing nothing other than running her mouth. I’d be more angry at her than Carmella. WWE Champion Jinder Mahal def. Luke Harper. Baron Corbin teases a Money in the Bank cash-in. Randy Orton brutalizes Mahal the match. Tonight was the first night I really took note of Jinder’s new entrance. It gives him a great superstar vibe. When you see that entrance, it feels like somebody special is walking out. Is Jinder backing that up in the ring? Not necessarily. But his presentation is coming together nicely. Why aren’t the Singh Brothers wrestling on TV? They’re sort of in the same role that J&J Security was a few years ago. But they’re obviously capable of more. More importantly, Smackdown needs heel tag teams. So we’re not done with Jinder Mahal and Randy Orton, huh? Damn. I was hoping both these guys were moving on. This likely means Jinder is going to beat Randy Orton at three consecutive pay per views: Backlash, Money in the Bank, and Battleground next month. Not a bad way to get your new champion over. 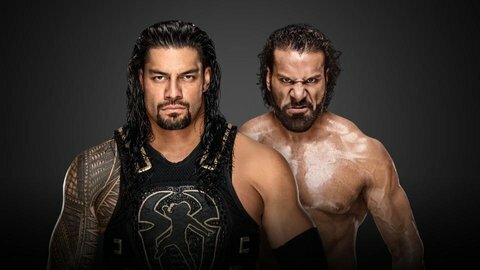 And now that it’s apparent John Cena vs. Roman Reigns isn’t happening at Summerslam, my guess is Jinder’s opponent in August will be “Big Match John” himself. Maria Kanellis returns to WWE at Money in the Bank, alongside her husband Mike Kanellis. 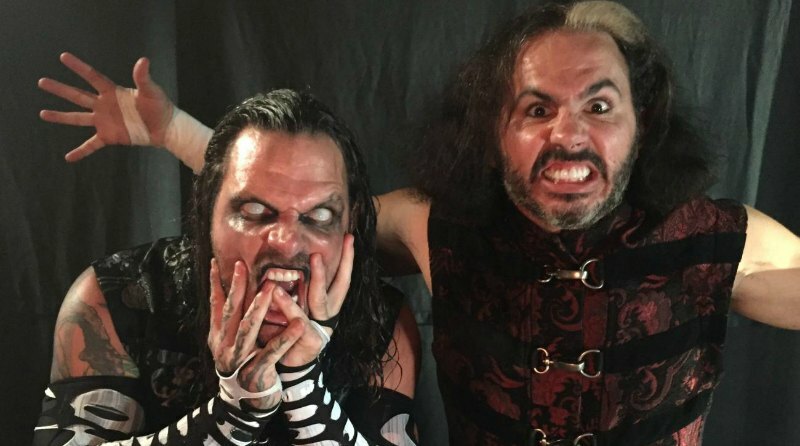 The two appear again in a WWE.com exclusive. I’ve been a Maria Kanellis fan for a long time. So it’s great to see her back. I don’t know much about Mike Bennett, but having him take his wife’s maiden name is a stroke of genius. Again, you appeal to people’s most basic instincts. A lot of men roll their eyes at the notion of a man doing that. Then on top of that you see all of the PDA, and that talk about love. It’s positively nauseating. 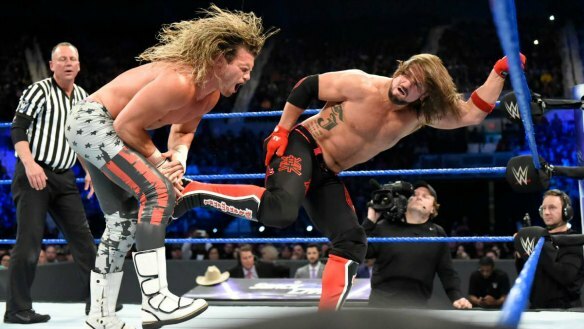 And that’s why these two could make for a great heel act on Smackdown. 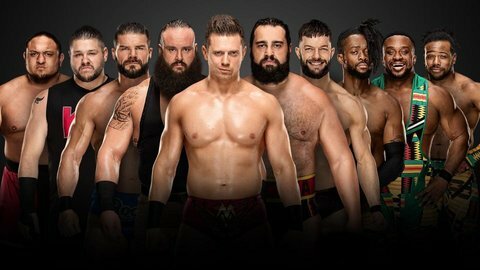 This entry was posted in Uncategorized and tagged #SDLive, Baron Corbin, Big E., Carmella (WWE), Chad Gable, Charlotte Flair, Daniel Bryan, Dolph Ziggler, James Ellsworth, Jinder Mahal, John Cena, Kevin Owens, Lana (WWE), Luke Harper, Maria Kanellis, Mike Bennett, Mike Kanellis, Money in the Bank Ladder Match, pro wrestling, professional wrestling, Randy Orton, Rob Siebert, Shinsuke Nakamura, Tamina Snuka, The New Day, The Singh Brothers, The Usos, WWE, WWE Money in the Bank, WWE Money in the Bank 2017, WWE Smackdown, WWE Smackdown Live, WWE Smackdown Results on 06/21/2017 by primaryignition. What do you do after you beat the Undertaker at Wrestlemania? If you’re Brock Lesnar, you challenge for the WWE Championship. We saw that in 2014. 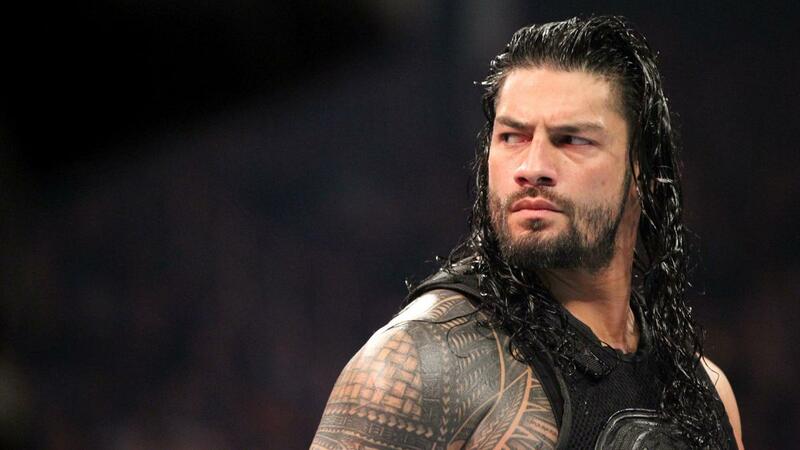 But if you believe the rumors, that’s not in the cards for Roman Reigns until Wrestlemania XXXIV. So what exactly does this character have planned for Summerslam? WWE teased us with a Summerslam-related announcement from him next week. He’s got to be throwing down the challenge to somebody. But who? It could be Braun Strowman. Those two have unfinished business. But we’ve seen them wrestle a few times already. And when we last saw Strowman, Reigns was giving him a pretty solid beatdown. So what’s his motivation to challenge Strowman again? We’re going to see that match again at some point. But it’s not the big summer blockbuster they want for one of their biggest shows of the year. When you eliminate Strowman, and you presumably eliminate Brock, that really leaves only one viable name: John Cena. Blasphemous as it may seem to many, John Cena vs. Roman Reigns is the closest thing they have to a modern-day Hulk Hogan vs. Ultimate Warrior type match. The torchbearer taking on the one person that could conceivably take it from him. 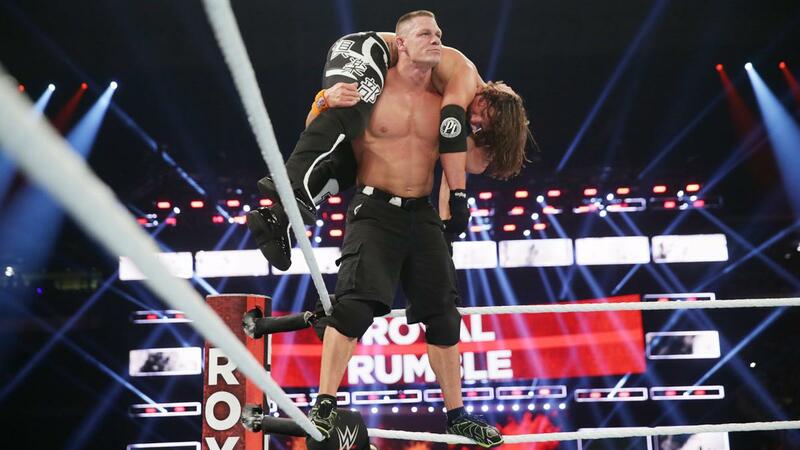 Like Hogan and Warrior at Wrestlemania VI, Cena and Reigns have never wrestled in a big pay per view match. So they can market it as their first meeting ever. 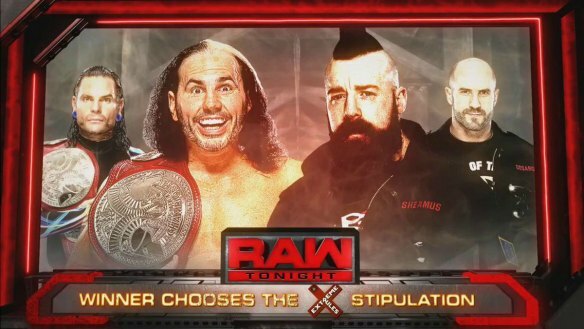 Some would say it’s a match that should be saved for Wrestlemania. But I’m reminded of the match Cena had with Batista at Summerslam all those years ago. Those two would later work a series of pay per view matches, including one at Wrestlemania XXVI. That Summerslam match gave them some extra history to go into a program with, and didn’t diminish anything at all. What’s more, WWE could really use some added viewership right now as Raw rating continue to dip. Putting Cena with Reigns could wind up being a really smart move. This one is an attraction because of sheer curiosity. What kind of performance is Lana going to turn in? How many matches has she even worked? I know she’s been doing NXT house shows. But she can’t have more than 100 matches under her belt yet. Hell, it might be less than 50. You know what they could do? 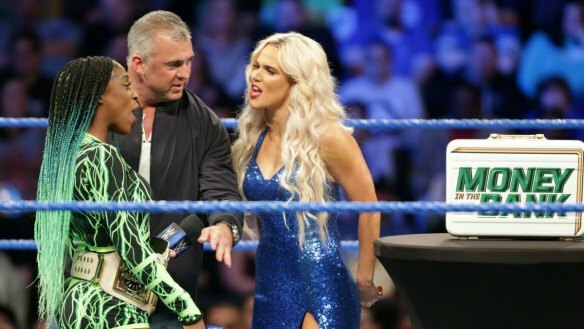 Put a bunch of heat on Lana, and have her win the title by screwing over Naomi. Have Rusev come out there and cause a distraction or something, and have Lana cheap shot her for the pin. The more I think about it, the more I like that finish. That way you’ve not only got a great heel in your Women’s Division, but you’ve found a way to reintroduce Rusev. I’m going to play it safe here and say Naomi keeps the belt via count-out. Lana doesn’t like being roughed up, so she walks out. But I’m tellin’ ya, don’t be surprised to see Lana wearing that belt at some point down the road. You’ll notice they’ve made the New Day the focal point of the marketing for this show. That’s why you’ve got the Wizard of Oz type backgrounds for these images. The idea is they’re following the yellow brick road, or whatever. It’s good to have them back. 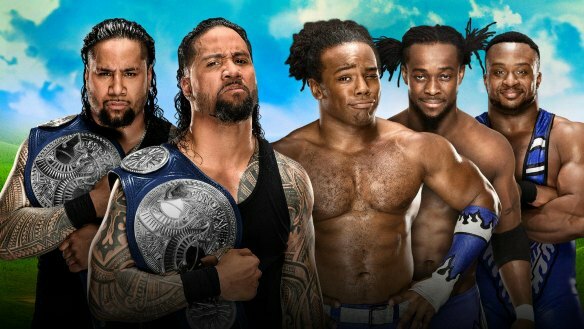 Some have fussed over them being pushed right into a title match with the Usos. But they’re the New Day. They’re the longest-reigning tag champs in company history. That’s reason enough. How far are we into the Jinder Mahal as WWE Champion experiment? Three weeks? It’s too soon to take the belt off him. What’s more, Jinder has done alright thus far. But I think he can do much, much better. He’s one of the few bad guys in WWE with any kind of genuine heat. They should do everything they can to nurture that. It’s sorely needed. 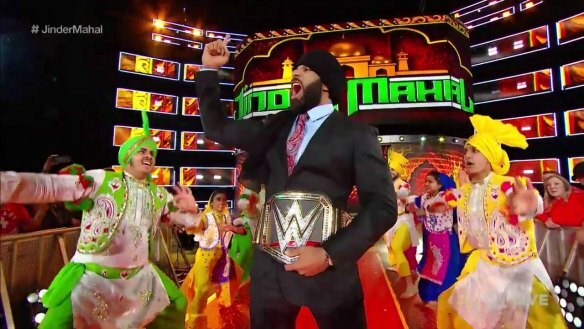 At some point, Jinder is going to find himself across the ring from John Cena. Given Cena’s status as the American hero, it’s inevitable. It’s just a question of when, and whether Jinder still has the title at the time. Here it is. Show us, ladies. Make us proud again. The Money in the Bank briefcase typically works best as a heel’s tool. That way you can have your cunning villain cash in when the champion is at a disadvantage. 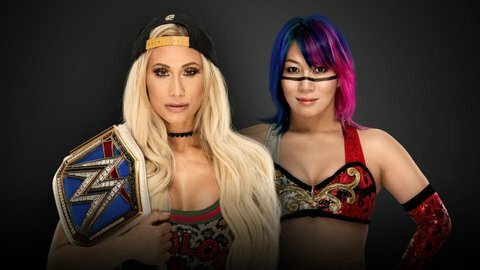 Looking at everyone in this match, I’d say that scenario would work best for Carmella. Combine that with the fact that she’ll have James Ellsworth out there with her, and the rumor that management has been high on her lately, and she’s my pick. This win could elevate her to top villainess status on Smackdown. That is, as long as Charlotte is still being shoehorned into the babyface role. This is a tough one to call. That’s what you want when you’ve got these big multi-man matches. I can see a scenario where almost any of these guys walk out with the briefcase. So let’s do it this way: Who’s probably not winning this thing? The first name that jumps out is Dolph Ziggler. After everything that’s happened, I don’t see why they’d choose to give this to him now. So he’s out. Neither Kevin Owens nor AJ Styles need it. 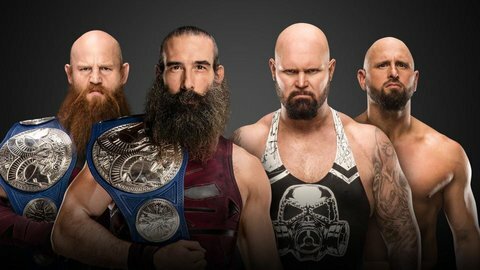 They’re pretty safe bets as far as staying at the top of the card on Smackdown. They don’t need it. 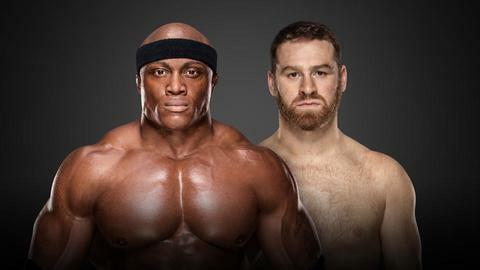 You can make an argument for Sami Zayn. They’ve done a pretty good job this year of casting him as the perennial underdog. You can give it to him and say that he’s finally got a shot at climbing to the top. I’m just not sure Sami is that big a priority for them right now. He’s the dark horse in this match. There’s a pretty good chance they give it to Baron Corbin. The biggest thing working against him is his inexperience. Remember when they had Jack Swagger win the briefcase at Wrestlemania? They were trying to strap the rocket to him, much like they’ve done with Jinder Mahal now. But he didn’t quite have all the tools yet, so it ended up being a popcorn fart. I’m worried the same thing will happen to Corbin if they put the title on him too soon. 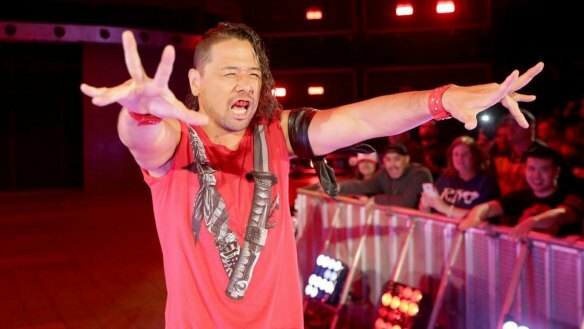 And then there’s Shinsuke Nakamura. 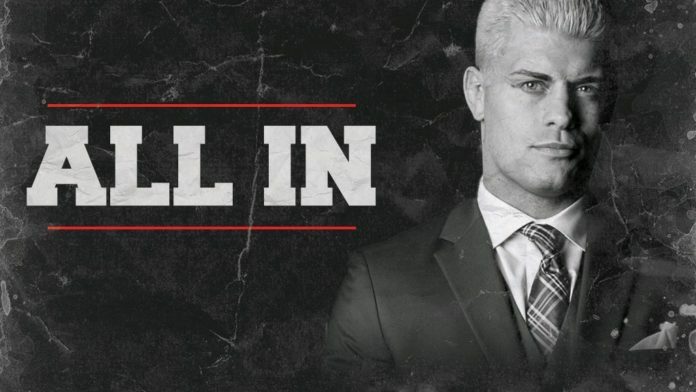 WWE want you to see him as a big deal, and they’ve made mostly good decisions with him thus far. One might argue they’re marketing him a little too hard as “the Artist” or “the Rock Star.” But generally speaking, but he’s just about where they want him to be right now. As I said, typically the Money in the Bank briefcase works best as a heel’s tool. But we’ve obviously seen babyfaces use it too. I’ve always thought the good guys should go the more honorable route more often, avoiding surprise cash-ins. Like the way Rob Van Dam did it in 2006. With that in mind, I’m going to go ahead and pick Nakamura to win here. Have him hold on to it until Wrestlemania season, and then you can have him challenge for the title at their biggest show of the year. 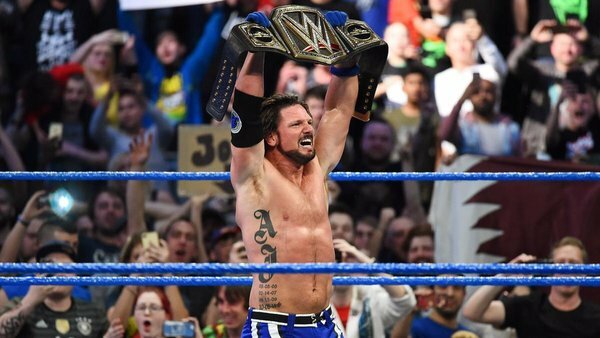 And what if the champion just happens to be AJ Styles? 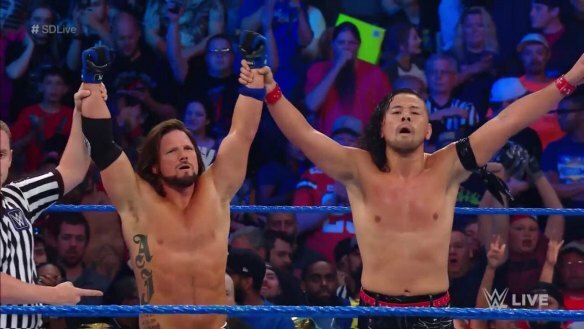 This entry was posted in Uncategorized and tagged #SDLive, AJ Styles, Baron Corbin, Becky Lynch, Big E., Carmella (WWE), Charlotte Flair, Dolph Ziggler, Jinder Mahal, Jinder Mahal WWE Champion, John Cena, Kevin Owens, Kofi Kingston, Lana (WWE), Money in the Bank Ladder Match, Naomi (WWE), Natalya (WWE), pro wrestling, professional wrestling, Randy Orton, Roman Reigns, Rusev, Sami Zayn, Shinsuke Nakamura, Tamina Snuka, The New Day, The Usos, WWE, WWE Money in the Bank, WWE Money in the Bank 2017, WWE Smackdown, WWE Smackdown pay per views, WWE Summerslam, WWE Summerslam 2017, Xavier Woods on 06/14/2017 by primaryignition.